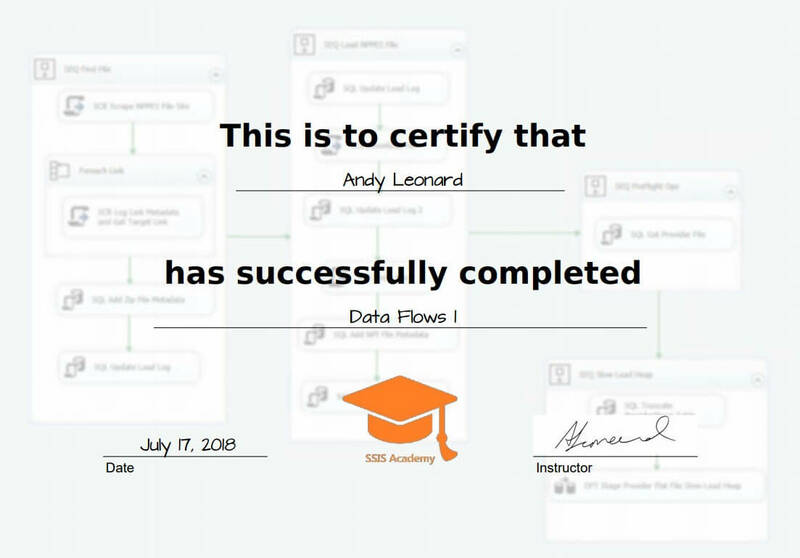 I’m pleased to announce the availability of SSIS Academy! I have a confession: Late last year when I wrote a post titled The Second-Best Time, I was writing to yours truly. I was inspired by some friends and presenters I met at the PASS Summit 2017. I jotted down some notes – just like I advised in that blog post – and was reading through my notes when I returned to Farmville. One of those ideas? Set up online training. And so I began. 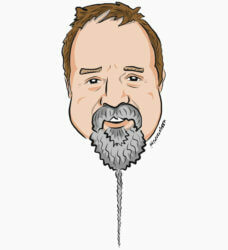 I started by learning everything I could about WordPress-integrated learning management systems. I read reviews, downloaded some trials, kicked the tires, took ’em for a spin around the farm… and found one I liked. I used it to set up Biml Academy. I put a ton of hours into Biml Academy. If you browse over to the site you may look at it and think, “It doesn’t look like you put a ton of hours into it, Andy!” You may have a point, but if you wear a loose-enough fitting hat, most people won’t notice. I had a lot to learn about learning management systems – and WordPress. I’ve been delivering training professionally since 1986. Granted, I am still learning about delivering training, but I needed to learn more about delivering recorded training online. This is different than my Summer-O’-ADF series of webinars and Expert SSIS – the next delivery is 10-12 Sep 2018 – that I deliver in cooperation with Brent Ozar Unlimited. Way different. 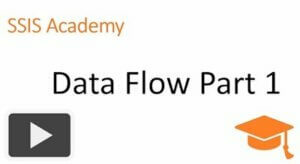 Biml Academy wasn’t my only idea; it’s just the beginning. 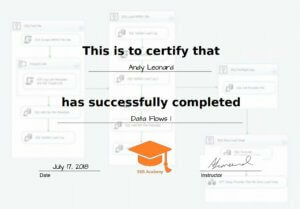 Check out Data Flows 1 and let me know what you think.